Love Island hunk Josh Denzel is no stranger to rumors and controversies. From ex-girlfriends claiming about him cheating, lying about his name and the fans questioning about his age, Denzel has made a name for himself through it all. 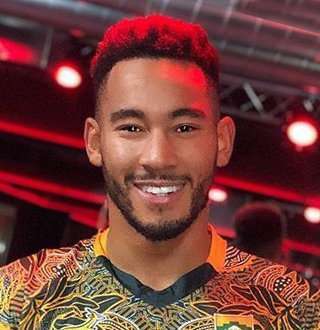 The social media sports presenter, Josh Denzel came to the spotlight after he joined the popular British reality show Love Island. Good looks and well-toned body saw Denzel gain a mass fan following after joining the show. He made headlines on the show when he ditched fellow star Georgia Steel and went for Kaz Crossley. Here are a few wiki-like details about Josh Denzel. Josh Denzel was born on 22nd June 1991 in North London. He stands at a decent height of 5’10”. However, information about his parents has not been disclosed except for his father who visited him on the show. As for his job, before joining the show, Denzel had been working as a sports presenter for the SPORTbible and LADbible. He has been seen posting pictures on his Instagram conducting interviews with famous sports stars. The North London native recently celebrated his 27th birthday on the show Love Island. But apparently, all is not what it seems. After seeing his father visit him on the show, fans started to question whether Josh really is 27. They noted the age difference between father and son and stated that his father is too young to be a father. But Josh has set things straight by having a celebration of his 27th birthday on the show. 2. Josh & His Net Worth Below; How Much Does He Earn? Josh Denzel has been working as a sports presenter for SPORTbible and he is also a member of Love Island. The reality show is a huge deal in England and has a wide range of fan following. As for Josh’s net worth, information has not been revealed and is still under review. Taking into consideration the popularity of the show and his involvement with SPORTbible, we feel Josh could be worth a decent amount. But the exact amount needs to be confirmed and updated. 3. End of January (2019) Ended Relationship Between Josh Denzel & Kaz Crossley! While couples get excited with the begining of February, the beginning of the love month (Valentines Vibes), Josh Denzel and Kaz Crossley called it quits in their relationship after just six months of dating. The two met on the show Love Island (July 2018) where they were both contestants. As for the details to their parting ways, the two have asked for privacy in the time of difficulty. Kaz shared a picture (31 January) with Josh in her Instagram after the split with the caption “Sometimes things don't go as planned, but you have to grateful for the journey”. Before Kaz Crossley, Josh was romantically involved with another contestant Georgie Steel but later he parted ways with Steel after he had an instant connection with Kaz and the hit it off.